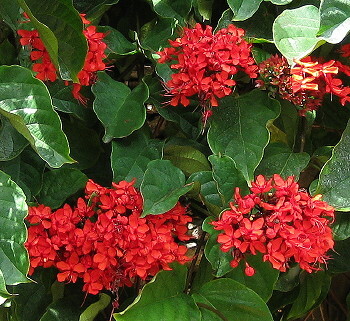 Clusters of brilliant scarlet flowers over a long season adorn this showy vine. Bright green oval leaves. 32F.